Ernie Smith to Headline 60th Anniversary Concert — UTech, Ja. 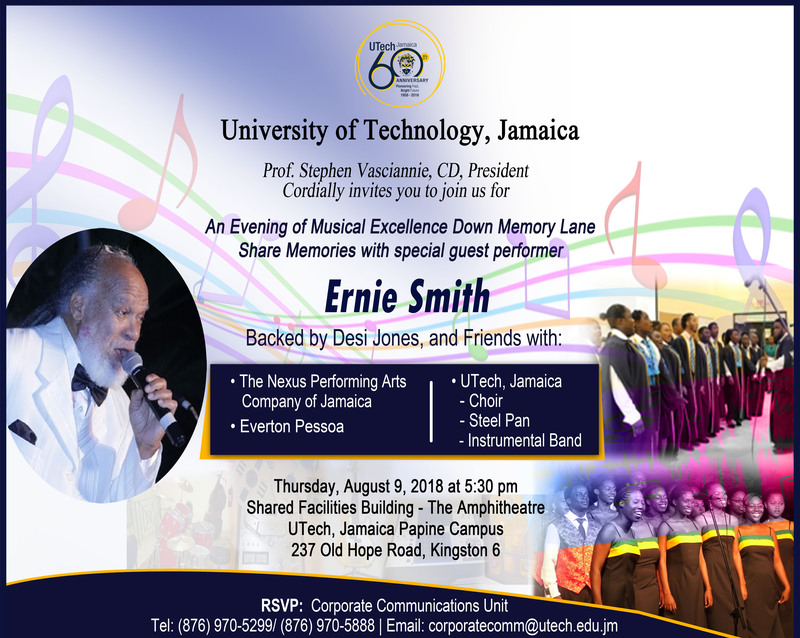 Ernie Smith will headline the University of Technology, Jamaica’s 60th Anniversary Concert set for Thursday, August 9, 2018 at 5:30 pm at the Amphitheatre, Shared Facilities Building, Papine Campus. 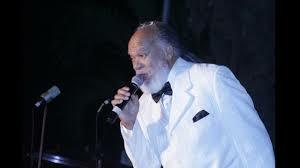 Often described as “incomparable” the name Ernie Smith is synonymous with nostalgia and Caribbean culture. His melodies are timeless and loved by young and older generations. UTech, Jamaica President, Professor Stephen Vasciannie says that patrons can expect to be delighted with an evening of superb high-energy live entertainment. The Concert is free of charge and is open to the public. The President invites everyone to “bring their dancing shoes” and get ready for the musical treat. The President specially invites staff members, present and past students and retirees to attend. Other acts who will perform at the 60th Anniversary Concert include singer Everton Pessoa, the UTech Jamaica Choir, UTech, Jamaica Steel Pan band and the Nexus Performing Arts Company of Jamaica. Ernie Smith will be backed by Desi Jones and Friends.